Curly in the City: 'vest'ie! I am so glad they brought this to their factory! 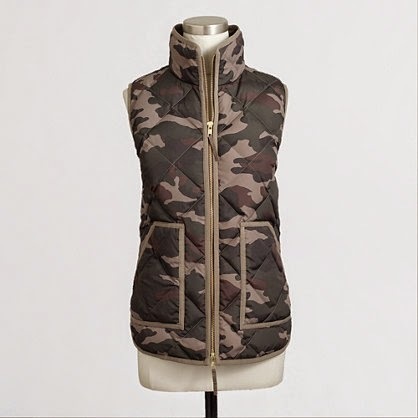 I bought the herringbone version last year and had serious remorse over missing out on the camo! Great versatile piece! I know right!!! I was made i never got it, but now, problem solved!!! :) Yay for us! Wish I had seen this earlier......please post pics on how you "style" it......shoe suggestions ?! ?